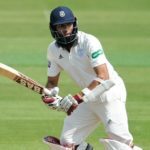 Hashim Amla was 14 runs away from yet another hundred as he fought to keep Hampshire in the game against Somerset in the County Championship. 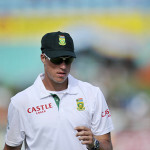 Marchant de Lange’s five-for enabled the Knights to force the Dolphins to follow on in their Sunfoil match in Bloemfontein. 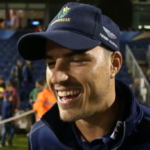 Marchant de Lange was delighted with his side’s advancement to the T20 Blast quarter-finals. 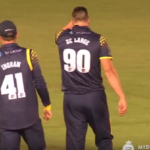 Marchant de Lange took 3-19 as Middlesex were restricted to 99-8, which helped Glamorgan claim a seven-wicket win in Cardiff. 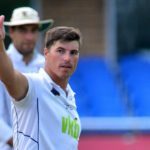 Marchant de Lange has ruled himself out of playing for the Proteas by signing a three-year contract with English county side Glamorgan. Marchant de Lange’s 3-16 helped the Knights bundle out the Titans for 191 and claim a vital bonus-point win in Kimberley on Sunday. 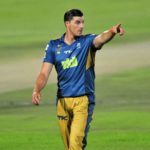 Marchant de Lange is the latest South African linked to a Kolpak deal, with Glamorgan apparently looking to sign the Knights speedster. 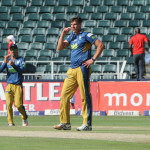 Knights quick, Marchant de Lange, aims to impress this domestic season and proved it by taking 3-17 in their T20 clash against the Cobras. The Knights have bolstered their squad for the 2016/17 season, adding Robin Peterson, Marchant de Lange, David Miller and Theunis de Bruyn to the setup.